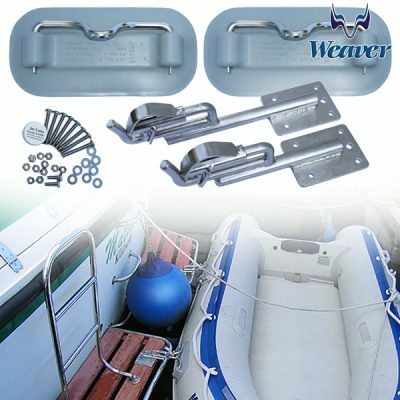 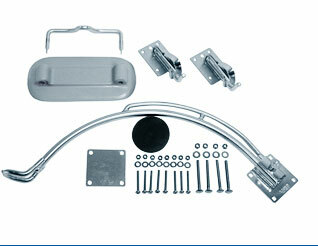 56.38.10 – Weaver RBD100 Snap Davit – For mounting on a swimming platform. 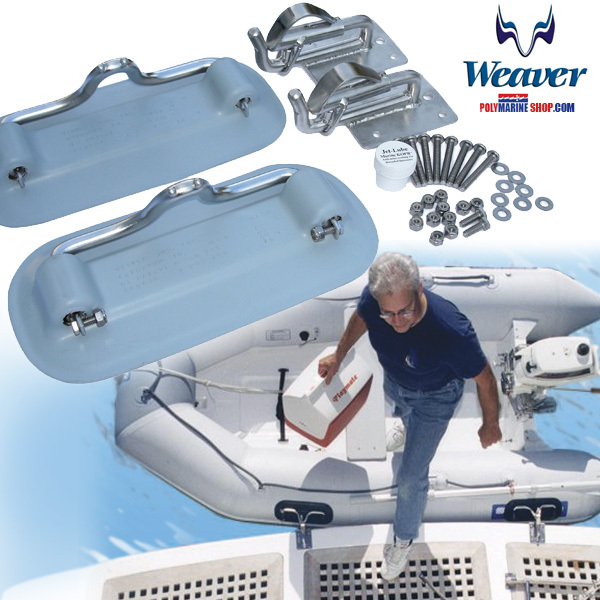 A set of ingenious lock-on davit fittings to secure an inflatable boat or RIB tender to the swim platform or transom of the main vessel. 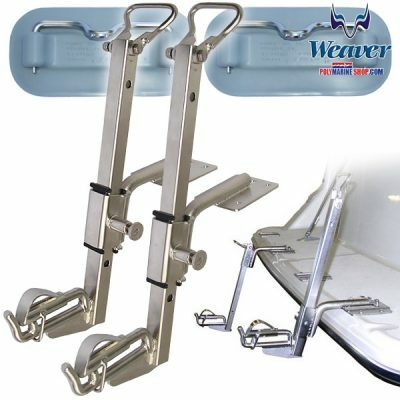 * Two davit fittings are bolted onto the swim platform or transom of the main vessel, the rubber pads are attached to the outer side of the tender, two attachment hooks are inserted into the rubber pads and these then clip into a locked position on each davit, allowing the tender to be tilted into a vertical position at 90deg.